An interesting post was made on the DrugFree.org website related to a recent survey which found that the primary drug of abuse among “affluent” addicted women was prescription opioids or heroin. The definition of affluent included those whose annual family income exceeded $100,000. Of those who entered treatment for their addiction, 61% of them identified prescription opioids as their predominant addiction problem. The survey found that 70% of those who developed an addiction reported that their initial use was related to a prescription of legal medications for the treatment of pain or emotional problems. The opioid epidemic has shown how universal addiction problems actually are by transcending all types of assumed barriers and biases. 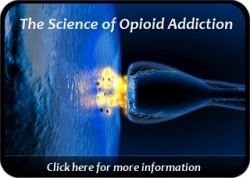 Opioid addiction is a very clear brain disease and poses risk, even in prescribed legitimate uses, to those individuals with no prior addiction-related problems or high risk behaviors. For individuals receiving prescription pain medication, it is imperative that they have a thoughtful and candid discussion with their prescribing physician about the recommended dosage and length of time a particular pain medication is to be taken. 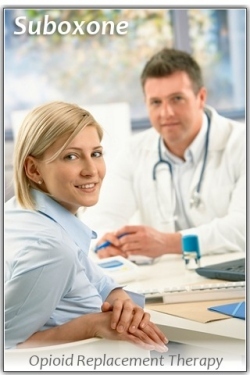 Many physicians are highly assertive with their patients and do an excellent job of informing them of potential risks. Conversely, some physicians do not regularly educate patients on key medication issues often providing no more than a printout of medication information. With prescription opioids, it is essential that medical professionals take the necessary time to fully inform consumers of the potential for developing a dependency on the medication. Patients need to maintain an awareness of a medication’s addictive potential. It is also vitally important that opioid prescriptions in particular be safeguarded from children & teenagers, and then properly destroyed when no longer being taken. See the Flip The Script facebook page for more information on this important topic. As we move forward through 2014, it seems likely that we will hear more in the news media about the proliferation of opioid addiction and associated costs and consequences. Sharing your concerns with family and friends is one way to help insure that more people remain aware of the risks. Sustaining the discussion on opioid addiction and medication-assisted treatment (methadone, suboxone, naltrexone) is a worthwhile ambition. To be curious is a basic part of human nature. We live each day naturally drawn to things which interest us, which feel good physically or emotionally, or which might incite some curious inclination down inside of us. It is literally wired into the human DNA to be inquisitive and to seek new experiences. We live in an information age in which most anything one wants to know is available via the internet. We know that drugs are dangerous. Yet, we naturally assume substance problems are something that happens to someone else. We know that addiction is real and can wreck one’s life, but we look past the potential danger and conclude that these risks don’t really apply to us at this time, or in this particular situation. There is an old saying in recovery circles that no addict started out with the intention to become addicted. This is, of course, true. No one starts out intending to become an addict. So what is it that we tell ourselves when we face the potential dangers of addiction? Do any of these sound familiar? Well, just this one time. One time won’t hurt. I’ll stop before things get out of control. Well, she did it and she doesn’t have a problem. I don’t have to have it. It’s just something I like doing from time to time. I’ve had a terrible day. I deserve a break. It’s not like I’m addicted! Addiction is a complex problem. Drug use alters brain chemistry. For some people, these neurological changes are rapid and dramatic leaving the individual with an addiction that builds quickly before they are even aware of it. And denial keeps people from facing the truth even longer. The door to addiction is often wide open and one only needs to take a small step to pass through to that other side where addiction becomes a harsh reality. Facing the truth is always the first step. No one gets well until they admit they are sick. The journey of recovery does not begin until a first step is taken. If you have an ongoing opioid addiction and have honestly tried to get well, then medication-assisted treatment may be the next step that you take. Addiction progresses. Inevitably, addiction will make your life worse if left untreated. This downhill slide only stops when you make the decision to get into treatment or obtain effective help through some other proven means. The message is this: Choose to face your own reality! Whatever it is, it can likely be changed. It can likely be improved. But it can only happen with your cooperation and your good intentions. Move in the direction of a solution. Commit yourself to getting help.